Irish-owned telecommunications group Digicel has extended for a fifth time a deadline it had set for bondholders to accept an offer to swap $3bn (€2.59bn) of outstanding debt for new securities with later maturity dates. If accepted by lenders the deal will push back maturities on bonds scheduled to fall due in 2020 and 2022, providing financial breathing space to the company before it needs to repay the debt. The new deadline is on December 7, an extra week. That's a relatively short extension and may indicate the sides are closing in on an agreement. The original early tender deadline for the offer was September 14, but it has been continually pushed back, reflecting resistance from lenders to the terms on offer. 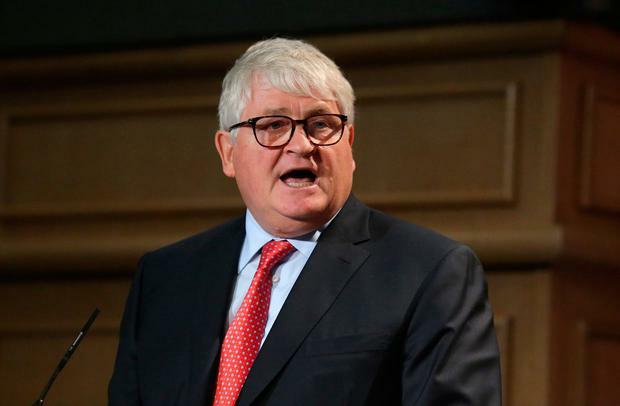 Ten days ago Digicel chairman Denis O'Brien said the delays reflected the need to find a consensus among a divergent bondholder group. "We knew this was going to take a long time because you have so many different views of people and we're trying to find a consensus that we're happy with and our bondholders are happy with. So it's very consultative and the conversations are going well. It's just bringing everybody with you, as such, is what it's all about," Mr O'Brien said in an interview with Bloomberg Television. The talks are understood to be focused on potential changes to details of the offer - such as the relative seniority of elements of debt within the capital structure, pricing and the extent of the additional term. Under the swap offer that has been put to bondholders, debt with an 8.25pc interest rate due in 2020 would be swapped for new bonds due in 2022, also with an 8.25pc interest rate. Another class of bonds, due in 2022 and with a 7.125pc interest rate, would be swapped for new bonds due in 2024, with an 8.25pc interest rate. Cash interest on the new bond would be 7.125pc and payment-in-kind interest (interest rolled up as new debt) would be 1.125pc.